I wasn’t planning on any more non-IP related travel notes, but have just spent a Shabbat in Kowloon and want to tell you about it. I prayed and ate Friday night at the Hechal Ezra Synagogue where I met up with a couple of ex Hasmo boys – pupils from my alma mater, one a few years older than me and one a few years younger. One is a brother of an Israeli patent attorney. Certainly less intelligent than his other siblings, he is a success International businessman. I found myself reflecting how many of the less academic pupils from high school are millionaires. Those of us with degrees in practical subjects are mostly making a good living and I suspect would be bored by international commerce. Nevertheless, it is those that didn’t and couldn’t go on to study who seem to be the wealthiest. The food was delicious as always. The Rabbi gave a little talk about earning a living honestly and the importance of charity. Most visitors to Hong Kong are international businessmen. However, I find the atmosphere a little mercenary. Shabbat morning I decided to pray and eat with Chabad. I always stick with Glubavich. The Chabad House has services in the tradition of the Ari, which is more similar to the Ashkenaz tradition than Hechal Ezra, which is Halabi (Aram Sova) – Syrian. The service was supposed to start at 9:30, but for want of a tenth man to make up the quorum, the service started at 10 am. To cover expenses of the hospitality, the honour of making a blessing over the various Torah portions was auctioned. There wasn’t a Cohen in the synagogue, so for the priestly sum of $18 US, which I settled up Saturday night, I received the first benediction. I’ve always wanted to be a Cohen. However, none of my father’s family are of this caste. It seemed a bargain to be able to join this exclusive club populated by the likes of Shlomo Cohen and Nachman Cohen-Zedek for such a small sum. However, the rabbi explained that I was merely substituting, and not buying the genealogy. 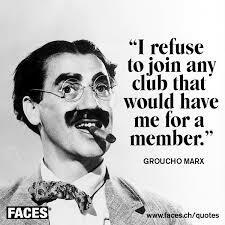 Being something of a Marxist in the Groucho tradition, thoughts about not wanting to join a club that would have me as a member entered my mind. 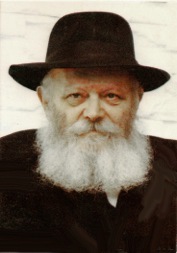 There was a portrait of the Rebbe – the late, much revered Grand-Rabbi Menachem Mendel Schneerson, and, being a bit of a Litwak, I am less than happy about praying in the presence of images of a person. However, once one realizes that every community is influenced by the surrounding culture, and Chabad is essentially a Russian Orthodox type of Church, the icon made sense. In a Da Vinci like manner I noted how the eyes followed one around the room. A young but distinguished looking bearded gentleman with a silk frock coat and a stylish Italian hat who received a Torah benediction after me, was treated to hearty Mazel Tovs, and it transpired that he’s got married the previous week after converting the week before. The prayers were followed with a Shabbat meal, including salads, a fish course, a meat course – mostly cholent, and fresh fruit and cake. It wasn’t as posh as the Halabi option, but the emphasis in Chabad is on the Jewish people and community rather than business, but with the usual Messianic overtones that Chabad is known for. Chabad is somewhat egalitarian. Their website announces Shluchim: Rabbi Itzik and Chana Eisenbach and there is a definite atmosphere that the Rabbi and his wife work as a team. Both here and in Shanzhen, the Rebbetzen is an active community outreach worker in her own right. The atmosphere was very congenial, and less formal than Hechal Ezra. I had an opportunity to talk to the recent convert, and was interested to learn that he was from Barcelona and had originally learned Chinese to work as a missionary for the Catholic church. His family had Conversio ancestry on both sides and his mother had converted to Judaism and was living in Jerusalem. He followed some debates between Christian and Jewish clergy and had come to the conclusion that the Jewish case was more persuasive. He was learning Daf Yomi and he and his Chinese girl friend had converted. The conversation was terminated by the Grace After Meals, for which he did the Mayim Achronim ritual hand-washing that very many otherwise Observant Jews don’t both with. Another recent convert, also converted by the well-respected Chabad Rabbinic Court in Australia, was an ethnic Chinese from New Zealand. The beauty of Shabbat in Hong Kong is that one never knows who one might meet and one really bumps into the most interesting people. Hi Michael . I have certainly enjoyed your travel logs… Have a good trip home.